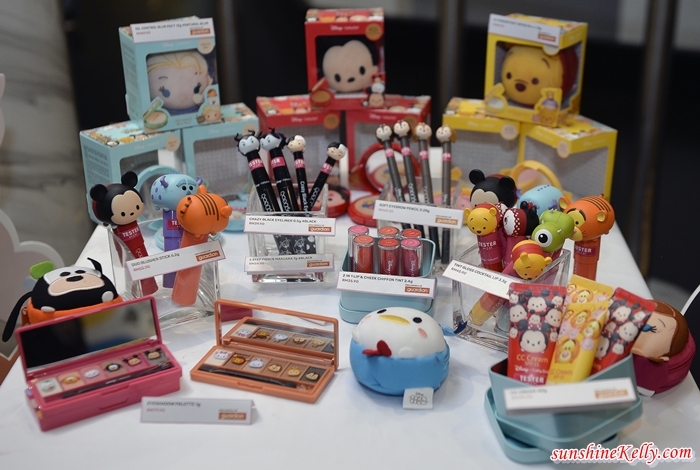 Well, the combination of cute collectible Disney inspired Tsum Tsum characters on the packaging of the wonderful cosmetic products from Cathy Doll. Both Disney Tsum Tsum stuffed toys and Cathy Doll beauty care products are big brands in their own right, each with tremendous followings. In conjunction with the launch, Guardian is offering customers irresistible buys. Among them is a gift of a limited edition plush Tsum Tsum Mickey Drawstring Bag for the first 100 customers who spend more than RM100 on Disney Tsum Tsum products at the Midvalley Lower Ground Atrium during the offer period. 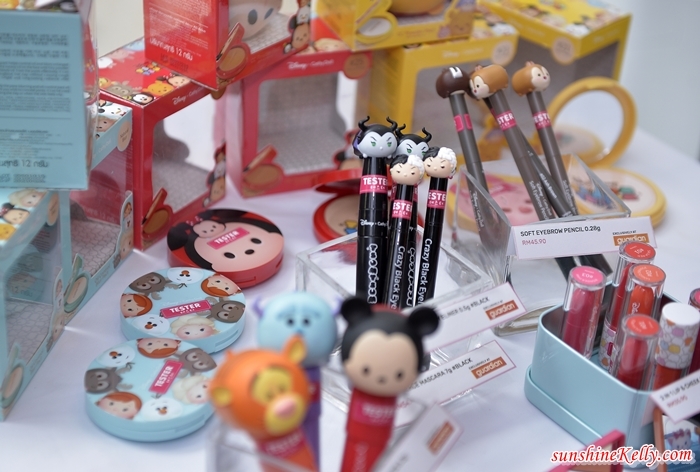 Since Valentine’s Day is coming and these Disney Tsum Tsum x Cathy Doll make-up is a wonderful gift and ideal gift for your loved ones. From 1 February to 28 February, 5 pieces of Limited Edition Disney Tsum Tsum Vintage Luggage Bags will be up for grabs in a lucky draw. 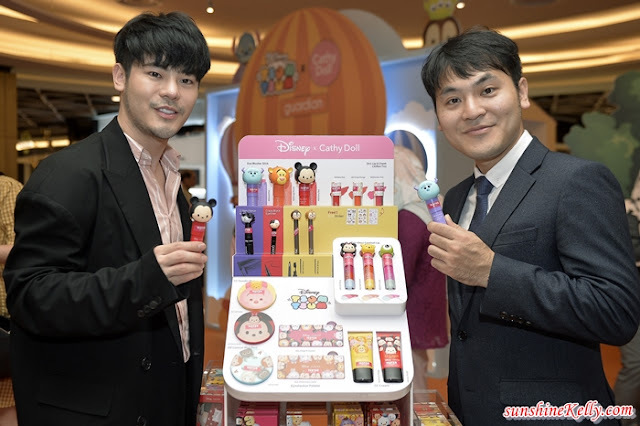 All our customers need to do to qualify for the draw is to purchase RM150 and above of Disney Tsum Tsum x Cathy Doll products, go into Guardian’s Facebook page to scan the QR Code or click on the link, upload their receipt, fill in their details and answer a simple question.